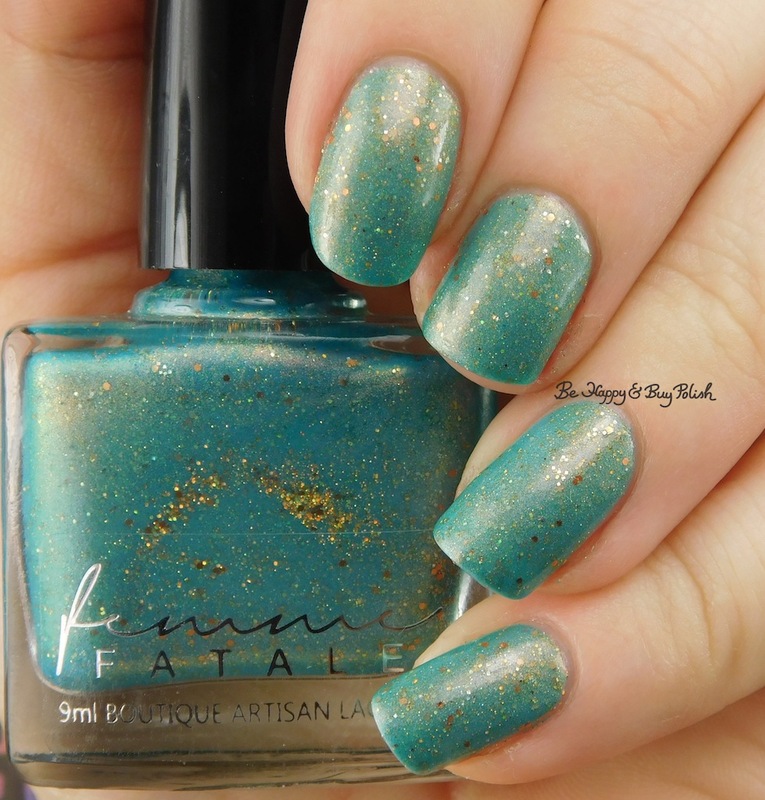 A Fortune Teller’s Charm is a thermal polish that shifts from a yellowish green to a sea foam green, with golden shimmer and added gold and silver holographic glitters. Though this applied a little unevenly, it did have a good consistency. This is 3 thin coats plus top coat. What a gorgeous thermal polish this is! I love it so much. Such a pretty polish! I’m usually not too enthused with thermals, but this one – oh, yeah! Beautiful swatch!